“The campaign is to mobilize citizens for collective action by helping the public to understand the dangers of corruption towards service delivery and welfare of the citizenry,” Rwereeza said. He said Uganda can achieve equitable, quality and sustained service delivery if technical and political leaders put aside selfish interests to build a society in which all citizens claim fair share of national opportunities and resources. 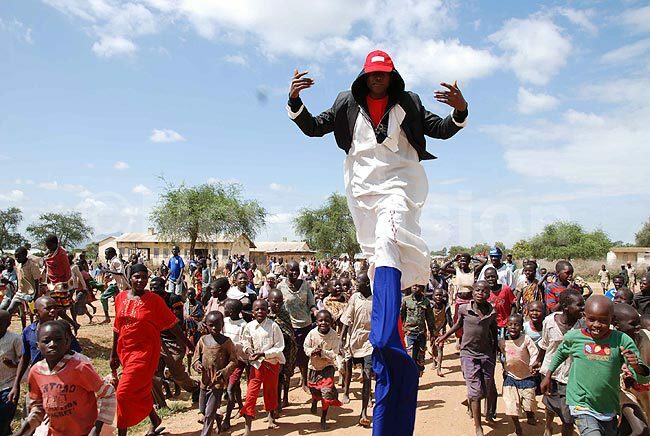 A man entertains the public at the laucnh of the anti-corruption campaign in Kotido district in Karamoja Sub-region. Rwereeza said corruption is the worst form of theft which must not be cordoned and ignored. He called upon Ugandans to speak out on all forms of corruption in their households, communities and public offices without fear and favour. 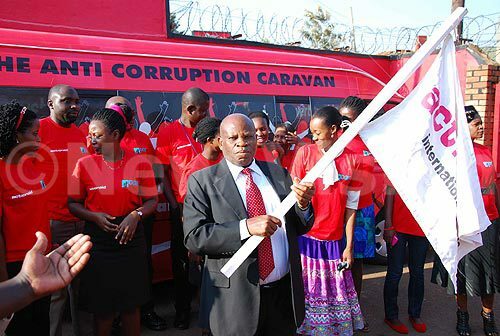 Actionaid Programs Director Harriet Gimbo, said the caravan will document cases of corruption in the regions for presentation to relevant government authorities and institutions for action. “The public will also identify Icons of integrity as part of the citizens’ efforts to reward and promote local champions in fighting corruption,” Gimbo said. She said the citizens will use their experiences to identify candidates for the name and shame list while Icons of integrity are Ugandans who have served selflessly with clean record as far as corruption is concerned. The caravan will cover districts of Kotido, Abim, Amuria, Katakwi, Soroti, Kumi, Bukedea and Kapchorwa. Others include; Mbale, Tororo, Pallisa, Kibuku, Budaka, Namutumba and Iganga. In attendance were civil society organizations including the Teso anti-corruption coalition, Actionaid, public affairs centre of Uganda, Katakwi district development actors and Amuria Civil society Organizations Network.